The CTR weighed 2535 pounds and had about 470 horsepower, making it one of the very quickest cars of its era. When Road & Track tested the car, it ran from zero to 60 mph in 4.0 seconds and from zero to 100 mph in 7.3 seconds on its way to an 11.7-second quarter-mile. It was possibly even better known for its oversteer-heavy handling, immortalized in the video “Fascination on the Nürburgring,” in which German tester Stefan Rosser wrestles it around the Nordschleife at huge speed and frequently ridiculous angles. Even today, when Nürburgring in-car video has become ubiquitous, it is genuinely thrilling. 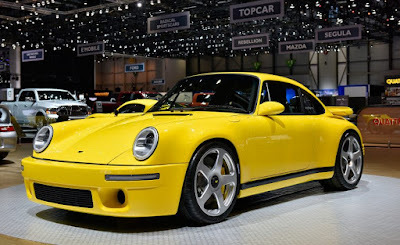 Although the new CTR looks strikingly like a 964-generation 911, it isn’t a restomod in the manner of Singer’s products. Rather, it uses carbon-fiber body panels wrapped over a carbon-fiber monocoque and steel front and rear crash structures. There’s an integrated roll cage, and the car features a control-arm suspension at each corner with pushrod-operated coil-over dampers. It’s powered by a 700-hp twin-turbocharged 3.6-liter version of Porsche’s long-serving Mezger engine. That’s right; this is what appears to be a classic 911 that uses a water-cooled flat-six. The engine directs this serious output, as well as 649 lb-ft of torque, to the rear wheels through a six-speed manual gearbox and a limited-slip differential. the new CTR’s lightweight body helps it ring in at 2640 pounds. We’re also told it is even faster than its predecessor, accelerating from zero to 62 mph in less than 3.5 seconds and from zero to 124 mph in less than nine seconds. It also boasts a 225-mph top speed. Only 30 cars with the manual gearbox will be built (a version with a dual-clutch automatic transmission will follow) at a price of about $795,000 at current exchange rates. That’s high even by the increasingly surreal standards of vintage 911 values—although the original CTR cost a sizable $223,000 back in 1987. 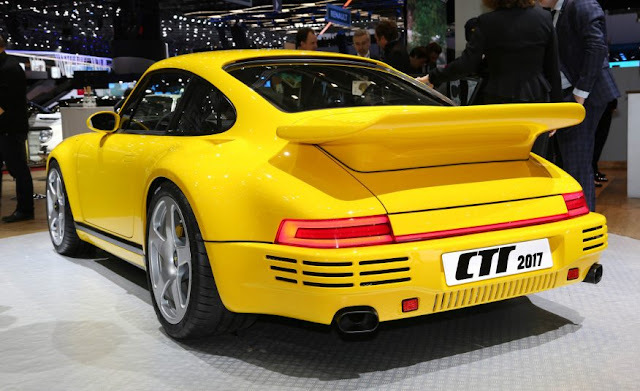 It certainly hasn’t put off buyers, with Alois Ruf saying that 10 have already been sold.